Calling a Professional is your best route to stopping and controlling bed bugs…..But if you want to try yourself – Use a strong adhesive tape (duct tape) to get them out of corners, outlets or furniture without damaging or contaminating your things. 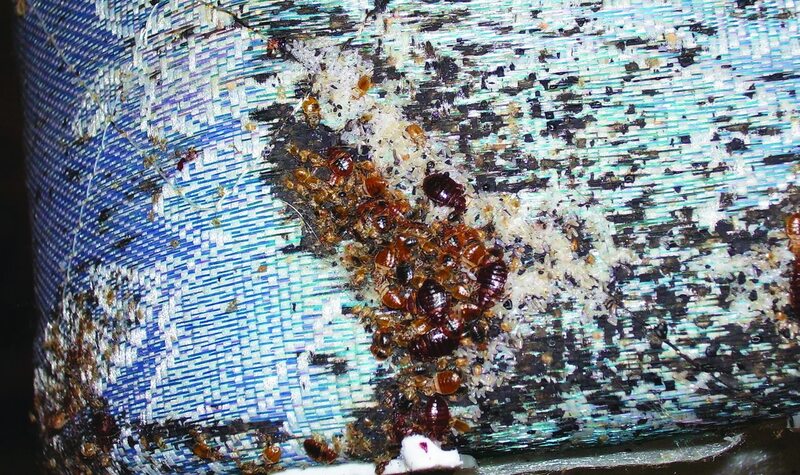 Reducing massive clutter stops bed bugs from spreading as it gives them fewer areas to stay and breed. If possible, put items in a storage area and vacuum the contaminated area frequently. It will take some time to rid your room, office or home of these critters, but monitor it carefully until you notice no more eggs or droppings. If you do have to throw anything away big or small because it was infested, put items in a plastic bag and cover the item and label it “BED BUG INFESTED” to avoid further spreading. I called a professional and they said they got them all but, 2 days later i see them again. Could they be back this fast? or did they miss them? I ordered my own bed bug heater from thermalstrike.com i am going to try that before i pay another 800 to another pro.